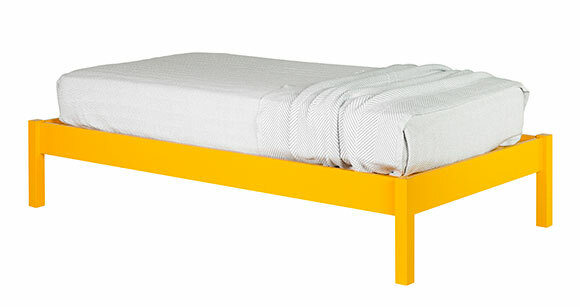 Our most basic bed, the Pallet is solid, sturdy - everything you need, and nothing you don't. Pallet Twin Platform Bed shown in Bittersweet. Available in Twin, Full, Queen, King and custom sizes.